Rest In Peace brother. Semper Fi. 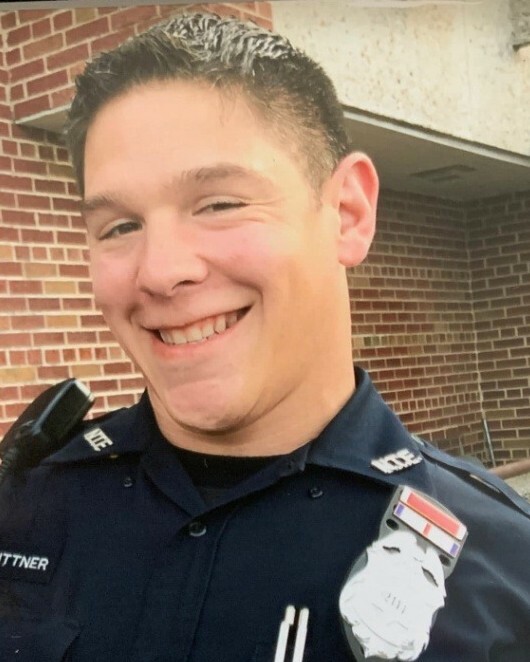 My sincerest condolences to the Milwaukee Police Department and to the family of Officer Matthew Rittner. The gates of heaven have opened up to receive you and you will always be remembered for your service to the Milwaukee Police Department and to your service to our country while in our Illustrious Corps. Semper fi Officer Rittner. So sorry for your loss. Praying that the members of your department can heal. Prayers and thoughts for the immediate family and fellow officers. God bless you Officer Rittner for your service and sacrifice for our country and community Sir. On behalf of Moms Back the Blue of the St. Louis County Police Family Association, we offer our heartfelt condolences to the family (blood and blue) and friends of Officer Rittner. Thank you for your service Officer Rittner. You are the epitome of an American Hero and I respect your character. Rest in Peace. Rest in Peace Officer Rittner. Thank you for your service. My thoughts and Prayers go out to your family, coworkers and friends. prayers are with the family and the Milwaukee Police Department. Thank you for your service to our country and to the city of Milwaukee. Rest in Peace Officer Rittner. My condolences to the family, friends and fellow Police Officers of the Milwaukee Police Department. Can’t show enough gratitude and respect for this fallen brother. A police officer should be remembered not by how he died, but how he lived! A great man has gone to secure a safe path for the rest of us to follow. Thank you to you, your family and the Milwaukee Police Department. Our country is a little less safe without you. Rest in Peace Brother! God bless you Matthew. Thank you for your servive to your country and to the citizens of Milwaukee. My heart goes to out to your family, friends, and fellow officers. It takes a special person to go into battle not only defending our country in war, but also defending our communities against drugs and violent crime. You are in my thoughts and prayers. West Bridgewater police department mass. On behalf of the Ohio Bureau of Identification & Investigation, our thoughts and prayers are with the immediate family of Police Officer Matthew Rittner and the extended law enforcement family of the Milwaukee Police Department, Wisconsin. End of Watch Wednesday, February 6, 2019. May God welcome you with open arms. Semper FI Marine.